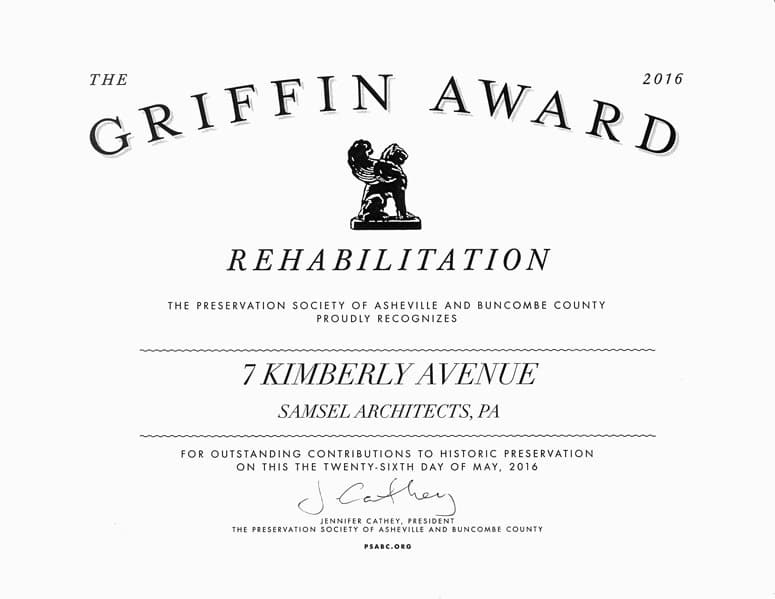 On May 26, Samsel Architects was delighted to receive a 2016 Griffin Award from the Preservation Society of Asheville & Buncombe County. The award was given to us for our historic rehabilitation of the W.C. Shuey House on Kimberly Avenue. 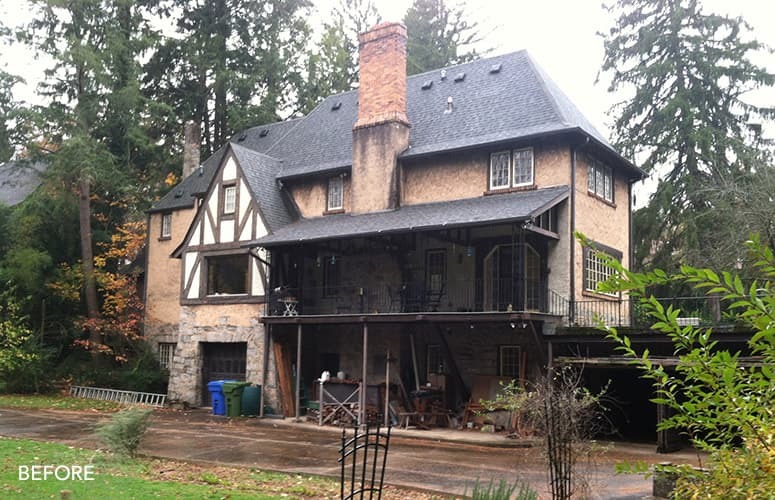 This home was originally built in 1926 and was placed on the National Register of Historic Places in 1989. 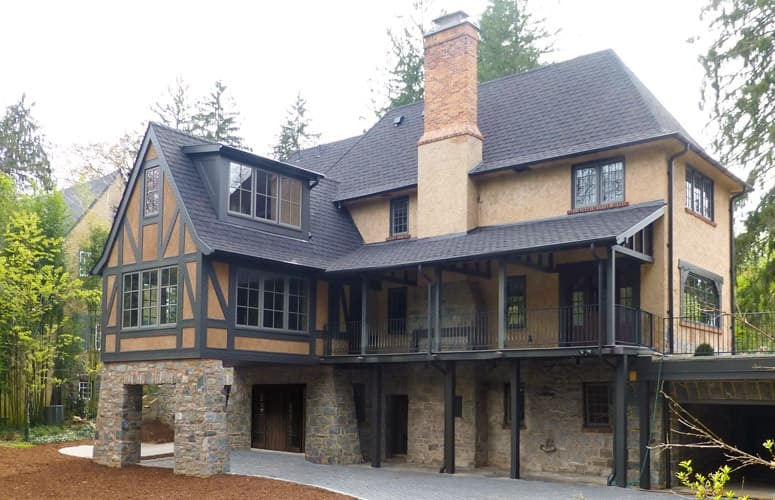 Samsel Architects helped the new owners of this beautiful Tudor-Revival home to restore and preserve an important piece of Asheville’s history. The home has been fully rehabilitated from inside out, allowing a unique Asheville landmark to continue contributing to the historic character of its neighborhood. The house underwent a complete interior and exterior renovation that also included an addition. The addition on the back of the house was carefully designed to be both unobtrusive and subtly differentiated. It incorporates a lower level porte-cochère, a main level dining room with panoramic views of the garden, and an upper library room. The addition’s placement and compatibility of materials was critical to ensuring that there would be no loss or alteration to the character of the home. The diligent restoration of this 90-year-old landmark blends principles of universal design, historic preservation, accessibility, and 21st century living. We would like to thank the Preservation Society of Asheville & Buncombe County for this award and extend our thanks to everyone who helped with this truly unique and beautiful project!